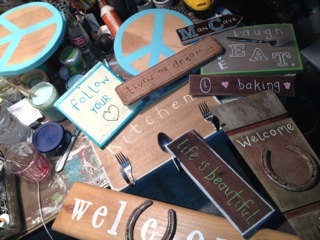 Hilary M. Hansen of Hilarys Handmade Signs makes signs on old recycled wood by attaching funky found items on them. 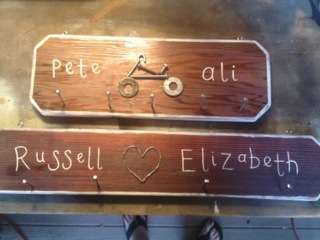 She also makes birdhouses, succulent boxes, bags/pursesand more. In addition to these creative endeavors Hilary is also a portrait photographer.